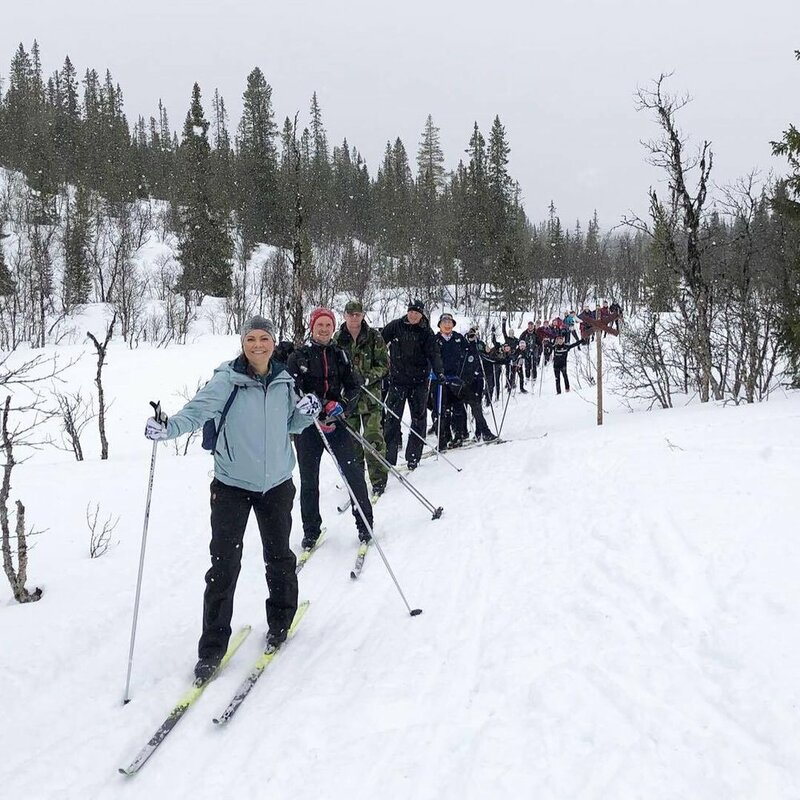 On Friday, March 29th, Crown Princess Victoria undertook her 18th province hike in Härjedalen. Crown Princess began this hike iniative after her 40th Birthday in 2017 and is scheduled to finish hiking all the provinces by her birthday of this year. With the hikes, the Crown Princess wants to experience different parts of Sweden during different seasons and to highlight the treasure that Swedish nature is for everyone who lives and works here. Härjedalen is her 18th hike of this series and is located along the border of Norway. 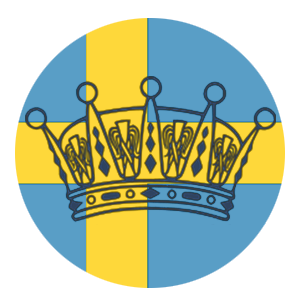 Härjedalen is also one of the 5 provinces of Sweden that has never had a Royal Duke or Duchess. Crown Princess Victoria’s day started by meeting students at Vemdalen’s school who shared about the school sports association and movement-smart school and how they are inspired by and cooperate with Generation Pep. The Crown Princess couple is the initiator of Generation Pep. During this meeting Crown Princess Victoria did movement exercises with the students, including showing her dance moves with with the popular “floss” dance. Crown Princess Victoria and the students then walked to Vemdalen's Hembygdsgård where lunch was served. Lunch, cooked over an open fire, consisted of kolbullar (thick pancakes served with bacon and lingonberry jam), hamburgers, and sausages. During the lunch, the Crown Princess gets information about the Hembygdsgård and Sami culture in Härjedalen. In Vemdalen there are three Sami villages: Mittådalen, Ruvthen and Handölsdalen. In the area there are a total of about 16,000 reindeer, which the reindeer herders have in the woodland during the winter, and in the summer they use the entire mountain area. Following lunch the Crown Princess and hike participants started at the railroad station Vemdalsskalet and skied about a 7 kilometer route to the Jaktstugan hunting lodge. They skied along the river and up the ski trail to get to the hunting lodger offering participants a great view of the beauty of Härjedalen. Upon arrival at the hunting lodge waffles and hot chocolate were served. They stayed at the hunting lodge for about an hour snacking and trying various activities such as lasso and biathlon with laser before skiing back down to Vemdalsskalet. For her hikes, Crown Princess Victoria wore her Houdini BFF jacket and Outright Jacket over a plaid shirt. She wore her Fjällräven ski pants (also worn on her last hike). For her visit to the school she wore her Inuikki Galway Boots but later changed into ski boots. She wore a hat from Vemdalen Tourist Shop (Vemdalen is a village in Härjedalen) and Fjällräven Kånken Bag while skiing. She wore new Lill Sport gloves as well.